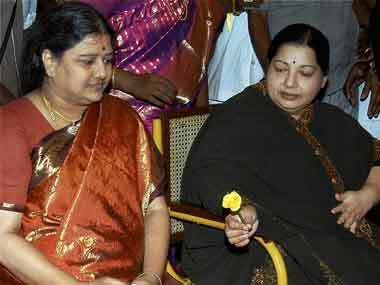 Jayalalithaa and Sasikala reportedly performed a puja at a roadside ganesha temple in the city early morning on Friday. Sasikala’s tear-jerker: can we please get a new twist? It came as little surprise when Jayalalithaa revoked the disciplinary action against long time aide Sasikala today, except perhaps for the party workers who celebrated publicly when she was expelled from the party. 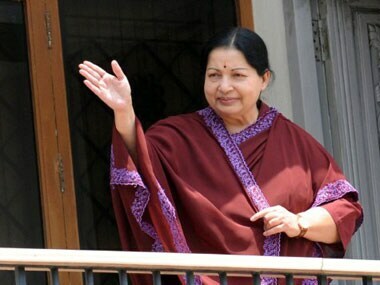 The former aide to Chief Minister Jayalalithaa and 12 members of the party associated with her were removed from the party. Four persons, including Sasikala's husband, had been arrested on criminal charges. 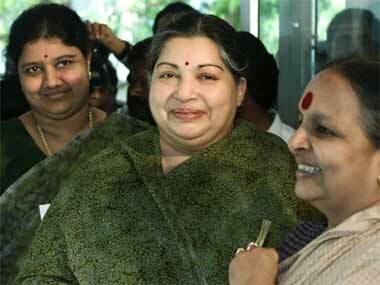 Twitter titters about Jaya-Sasikala ki "amar prem kahani"
Sasikala's groveling attempts at reconciliation with "younger sister" Jayalalithaa is inspiring a lot of Twitter humor. Is it time to kiss and make up? When political drama repeats itself: Sasikala to get back home? With Sasikala pleading innocence of wrongdoing (by her relatives) and pledging absolute devotion to Jayalalithaa, the general belief now is that the stage is set for her comeback to the Jaya household as had happened in 1996. 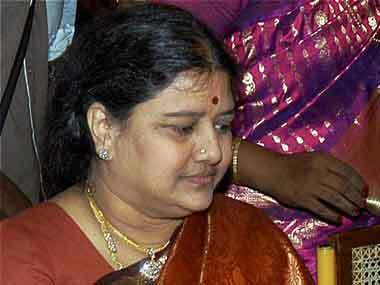 Sasikala pleads innocence, a ploy for Jaya’s mercy? The former associate of Jayalalithaa has issued a statement pleading innocence but observers say she may just be trying to avoid prosecution that most of her associates are facing. In the sixth ministerial change yesterday, Jayalalithaa sacked two ministers: Agri SS Krishnamoorthy and SP Velumani, who were believed to be close to Sasikala. 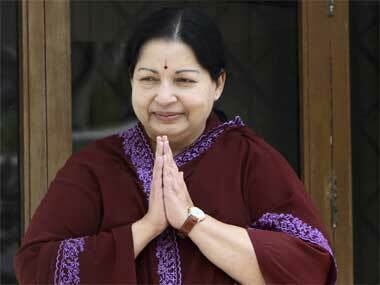 Jaya's fourth cabinet reshuffle: What's happening? Why does Jaya change her cabinet every now and then? Analysts have given up speculating. Sasikala's brother-in-law M Palanivel and another relative Kaliyaperumal were expelled from the AIADMK today because they were allegedly interfering in political and administrative matters.